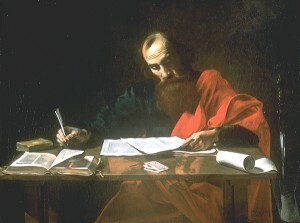 I lesson five, “Developing the Christian Mind,” of the great, lucid, packed-with-content 6-session DVD by John Stott called The Bible & the Christian Life he notes how the apostle Paul rented a public hall to offer lectures for about 5 hours a day, six days a week, for two years. “Not a measly one hour lecture like I am doing here for you” he says, wryly. And I am struck hard: my, how little time I spend studying God’s Word. How much I’ve accepted my intellectual state, such as it is, and not endeavored to seriously stretch myself. How I’ve been seduced by the anti-intellectual ethos of our age. How about you? And so, here is a brief bibliography—not at all comprehensive, please note—of some mostly recent books that I think to be nearly essential for typical Bible students. I hope you enjoy reading through it. We would be pleased to serve you further if you have questions, and, of course, to sell some of these titles. Thanks for your support. It has been a while since I’ve described books about Biblical studies. There are so very many in that specialized field—from the mundane to the brilliant, the weird to the very helpful—that I hardly know where to begin. I’ve been keeping a stack of recent ones here that I’ve been meaning to describe, and it seems that a few continue to cry out to be announced. â€¨â€¨I taught an adult education elective at our local church (First Presbyterian, York, PA) and attempted, in just a few weeks, to cover the basics of how the Scriptures came to be written, how they were chosen, how to best understand the basic plot-line of the unfolding Story, and how, then, to understand and interpret texts within the context of the redemptive Story told. You can imagine that I used the “four chapter story” overview of creation, fall, redemption and consummation? Or the seven acts of the drama described by N.T. Wright? Or the “c” words that Brian McLaren introduced—creation, crisis, covenant, conversation, Christ, church, etc? These are all very helpful ways to help folks keep in mind the big picture, a key to proper and fruitful Bible reading that simply cannot be overstated. A FEW THAT ARE SOMEWHAT INTRODUCTORY, BASIC, BUT STILL DESERVE A WOW! This Book We Call the Bible: A Study Guide for Adults James Davison (Geneva) $10.95 Jim Davison is a pastor in Pittsburgh and this is a fine overview of how the Bible came to be, how best to understand its authority, and how to meaningful read and live it. Designed for mainline denominational adult ed classes, it is very, very useful. We have others on how the Scriptures were compiled, on canon formation, or the ways in which God’s book got written. Everybody should read up on that from time to time. The Last Word: Beyond the Bible Wars to a New Understanding of the Authority of Scripture N.T. Wright (HarperOne) $12.99 I wish I could say that few folks these days fall for the extremes approaches such as wooden unimaginative literalism (on one fundamentalist hand) and merely metaphoric, watered-down, this really isn’t God’s Word liberalism on the other. Yet, with the popularity of deconstructing authors like Marcus Borg—whose recent novel I truly enjoyed and recommend, by the way, despite the inadequate views of the characters, and the rather squishy view in the new Brian McLaren book (another book worth studying with care) I think it is helpful to offer a resource that is robust, faithful, and yet is something other than the typical poles. Of course the proof with Wright is in the reading of his good commentaries and scholarly texts (and his mid-range stuff, like the fantastic book called Following Jesus which I regularly recommend.) 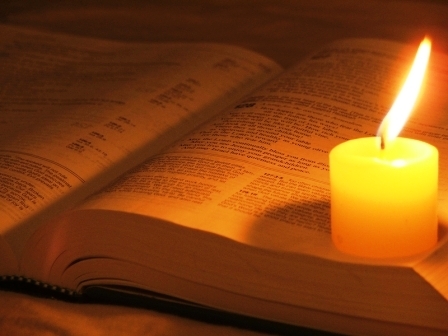 Here, in this little one, he explains what we mean when we say the Bible is the Word of God and in what way in functions to be authoritative in our faith communities and personal lives. Agree fully with his formulation or not, it is a courageously moderate view, and well worth considering. w generation of younger adults. I love his stories, I love how he invites us into the Biblical story, how a Christian world-and-life view can shape who we are and how we live. It is thorough enough to walk us through each phrase of the unfolding story, but it doesn’t get bogged down in detail. It serves its purpose beautifully. This is it! The True Story of the Whole World: Finding Your Place in the Biblical Drama Craig Bartholomew & Michael Goheen (FaithAlive) $11.95 Before I discovered the lively Erre book (above) I have insisted that this is the best one-volume, brief, readable, intro to the Bible I knew of. I love these authors and their “four chapter” overview, their telling of redemptive work of God as a worldview shaping narrative. This significantly edited and abridged and re-designed version of The Drama of Scripture is still the best quick overview out there. Leslie Newbigin’s fantastic little Walk Through the Bible captures the integrated nature of the one big story, but it is nearly too brief. Walt Brueggemann’s provocative The Bible Makes Sense is a personal fav, but I’m afraid is just a little off-putting to a few that don’t always appreciate his metaphoric (and at times meteoric) rhetoric. We recommend it, but Bartholomew & Goheen are impeccable in their viewpoint and clarity. So this is it– readable, balanced, radical, integrated, profoundly insightful, only 175 pages of nice-size type, great discussion questions, and pull quotes. For the size and profundity, it simply cannot be beat. God’s Shalom Project: An Engaging Look at the Bible’s Sweeping Story Bernhard Ott (GoodBooks) $7.95 This book is a translation of a splendid little work by a German Mennonite, which uses the topic of shalom as the unifying theme of the redemptive work of God. It is clear, almost too brief, and includes a few provocative and insights, nicely explained. Three cheers for this plainspoken, clear-headed Anabaptist approach. But here is what makes this a fabulous resource. At the end of every chapter he has a device where he writes a letter to a young man and woman, answering questions they allegedly wrote after reading that chapter. Ott says in the forward that he is a teacher, and loves the give and take that comes in a lively classroom, so this attempt to duplicate at least a bit of that sort of dialogical education. He obviously cares for and respects young Monica and Peter. I think you will find those conversation pieces, answering key questions and drawing out the implications of each era of the Biblical story. There are good discussion questions, too, making this quick read a great little adult study. The Bible and the Land and Jesus, the Middle Eastern Storyteller Gary M. Burge (Zondervan) both $14.99 My, my, what splendid paperback handbooks, with glossy paper and great full-color photographs, in this set called “Ancient Contexts, Ancient Faith.” This includes much more than standard introductory helps, maps, or inspiring Holy Land photography, though. These great books truly unlock some of Burge’s keen insights about Biblical land and culture and are really useful in opening up our understanding of the original meaning of both Older and Newer Testaments. He has spent years learning about (and critiquing) one-sided Christian Zionism, and has a deep love for both Jews and Palestinians. These two paperbacks would appeal to those who like the nuanced, passionate and somewhat innovative insights of the likes of Old Testament professor Walter Brueggemann, or New Testament genius, Kenneth Bailey. Very accessible, but really exciting, presented in a lovely visually appealing format. (For a somewhat more scholarly overview of his view of how Christian Zionism misunderstands the role of land in the Bible, see his new Jesus and the Land: The New Testament Challenge to “Holy Land” Theology [BakerAcademic; $21.99 or, for a more contemporary political and sociological plea, read the important Whose Land? Whose Promise? What Christians Are Not Being Told About Israel and the Palestinians [Pilgrim Press; $23.00.] 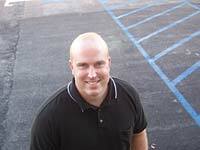 Burge is a New Testament professor at Wheaton College. The Invitation: A Simple Guide to the Bible Eugene Peterson (NavPress) $16.99 I don’t care what you think of the creative paraphrase The Message (although almost everybody that uses it likes much of it, even if one has quibbles about this portion or that, as I do.) I think it should be evident that Peterson is one of the great theological writers of our time, and everyone should own a few of his important books (at least his devotional reflections on the Psalms, Long Obedience in the Same Direction and the powerful Where Your Treasure Is, for starters.) The Invitation is simply a handsome hardback collection of the introductions to each book of the Bible as they appear in The Message which are both literate and insightful. These beautifully rendered set-ups to each and every book helps you see what will happen in that book of the Bible and how it fits in and adds to the ongoing narrative plot. I have turned to this time and again, enjoyed and learned, have been blessed and challenged, even moved to tears. I think this makes a great gift for nearly anyone who loves the Bible, or is learning to read the Bible for the first time, or who has made new commitments to enter into conversation with the text of the Scripture. Nice. s to sincere appropriation of the grace which is central to the gospel. As this puts it “if we’re not careful, we can take a story about Jesus rescuing creation and reduce it to a story about ourselves. We can turn stories into statements, and poems into punchlines. 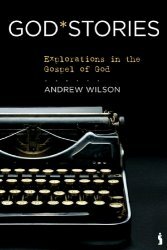 We can miss the sweeping, triumphant, heartbreaking, and glorious stories that make up the gospel of God.” Wilson holds a degree in theology from Cambridge. Love those Brits, who seem ahead of most American evangelicals. Discover more online at www.GodStoriesBook.com. Order it from us, of course. The Bible as Improv: Seeing & Living the Script in New Ways Ron Martoia (Zondervan) $14.99 Let me make something clear: this recent talk about the Bible being a drama or Story or script, and that we engage and are shaped by it and, now, live out of it in improvisational ways, is not saying the Bible isn’t true, or that it isn’t God’s Word, or that we don’t have to obey it faithfully. Although this “improv” approach to “the Script” in “new ways” may give some traditional thinkers the willies, rest assured. This author is pushing us to be faithful, to live as the Spirit guides as we think through what it means to live out this stuff in real and fruitful ways. “This book will change the way you read The Book” says Mark Batterson, lead pastor of National Community Church. Well, maybe that sounds controversial, but I don’t think it really is. Surely we want to “get it right,” right? Shouldn’t we want to repent of bad readings and unhelpful approaches and crass misunderstandings? Reading such books that push us to be open to getting it right, or closer to right, should be received as the blessing they are intended to be. I don’t think this is that controversial, although missional guru Alan Hirsch suggests it may be: “Surely the Bible, of all books. out to stimulate serious dialogue. If it doesn’t we should wonder whether it is being read properly. Ron provides us with a completely unconventional and deliciously controversial look into how we interpret Scripture, or rather, how we allow it to interpret us.” I think Hirsch is correct in noting that this may be new—putting ourselves into the entire narrative sweep and regaining a big-picture view. But it shouldn’t be seen as controversial. Just a whole lot of fun. For a deeper, more complex call to the same sort of project, read my comments on another similar, meaty volume called Free for All below. God’s Big Picture: Tracing the Story Line of the Bible and Life’s Big Questions: Six Major Themes Traced Through the Bible Vaughan Roberts (IVP) $13.00 each I like the way this first one uses a movie themed overview of the grand plot of the Bible. It looks at the theme of the Kingdom of God by studying it as patterned, perished, promised; it moves to the partial kingdom, the prophesied, the proclaimed, and the perfected Kingdom. What a great way to teach the whole big plot in a few simple studies. The second one explores these “big question” topics, tracing how the Bible presents foundational ideas. It explores “Who Rules the World” by way of Psalm 2; “Who Am I” by way of Psalm 8 and Hebrews 2; God’s marriage (drawn mostly from Ezekiel 16 but actually is a summary of each of the “p” words in the Big Picture book), wealth and possessions (I Timothy 6:6-19); the Holy Spirit (a study of the role of the Spirit in John) and “God and the Nations” in Isaiah 66. Both are slim, pocket paperbacks, really useful, clear summaries, and good discussion questions. 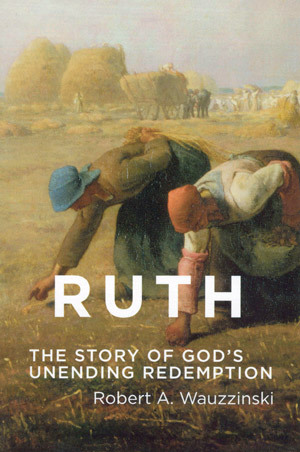 Ruth: The Story of God’s Unending Redemption Robert A. Wauzzinski (Dordt College Press) $14.00 You know of our desire to promote books about the big picture of Scripture, how to best understand the major chapters of the grand Story, our effort to help folks be faithful and fruitful with a wise and appropriate study of the whole counsel of God. Most of the books I’ve mentioned above share the conviction that the authoritative Word is one major story, with a coherent, redemptive plot that shows God’s promise and fulfillment. To reject any significant tension between Old and New Testaments and to reject any reductionism or sentimentalism that fails to see the way in which God’s faithfulness to creation is need of the hour. I don’t know who tends to drop these balls more often, mainline liberals or conservative independent folks, Catholics or Orthodox. Nearly everyone needs a refresher, I’d say, on how best to read the Bible in coherent and realistic ways that point to God’s reign coming and our role in the Story the Scripture tell. One way to do this is to study a certain book of the Bible with a view not only of teaching that book of the Bible, but of modeling faithful and wise and fruitful engagement with the text. I’ve reviewed this stunning new study at the blog, so won’t say much more here, except that we commend it for anyone that wants to study Ruth, and who wants to see how best to study any given book of the Bible in its place within the bigger story of God’s shalom project. Wauzzinski knows this Bible book well—he’s taught it in synagogues and prisons, in college Bible studies and congregations large and small. He’s got a particular focus on the history of intellectual ideas, a degree in philosophical economics, and he is an ordained Presbyterian (USA) minister. This book isn’t a serious commentary, and it isn’t a fill-in-the-blank inductive study. It is short enough to be used as an adult elective or book group, and challenging enough that nearly anyone will learn new insights—about Ruth, about the Bible, and about how to read the Bible in a way to hear God’s Word to us anew. Highly recommended. Next up: a few more fascinating titles, some that are perhaps more serious, semi-scholarly, provocative and important. Do check back. Thanks.